All of the products were invented by Debra Beckman, MS, CCC-SLP. Ms. Beckman is an internationally recognized expert in oral motor assessment and intervention. You can order all of the Beckman products from us by following the links below. 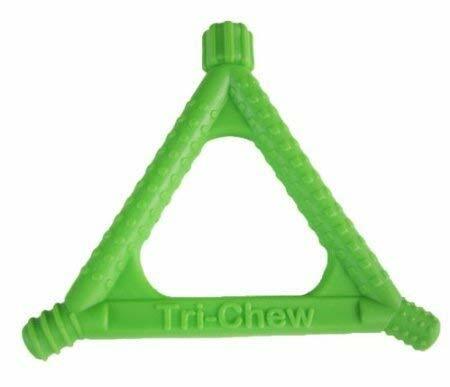 The Tri-Chew has ridges, bumps, and swirls on each end to simulate the various textures of food used for chewing. Jaw movement and pressure can be experienced through the varied sizes of the ends, which are also small enough to prevent gagging. The textured sides provide sensory input for the lips, gums, and tongue. The triangular shape makes it is easy for little ones to hold. Recommended for ages 6 months - 2 years. Not recommended for aggressive chewing. 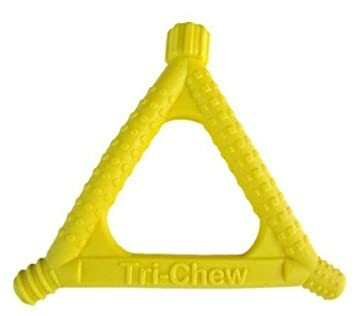 Caution: although these chew tools are made out of sturdy, medical grade materials, they are not indestructible. Some individuals (particularly those with heavy oral needs and aggressive biting/chewing) may be able to damage the tools. Please supervise at all times and replace if the item shows signs of wear and tear. 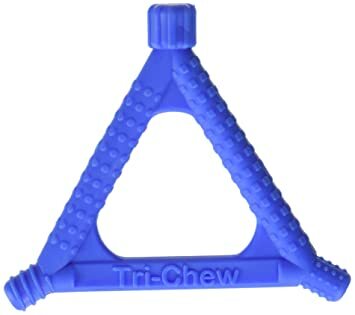 The Tri-Chew has ridges, bumps, and swirls on each end to simulate the various textures of food used for chewing. Jaw movement and pressure can be experienced through the varied sizes of the ends, which are also small enough to prevent gagging. The textured sides provide sensory input for the lips, gums, and tongue. The triangular shape makes it is easy for little ones to hold. Recommended for ages 6 months - 2 years. Not recommended for aggressive chewing. 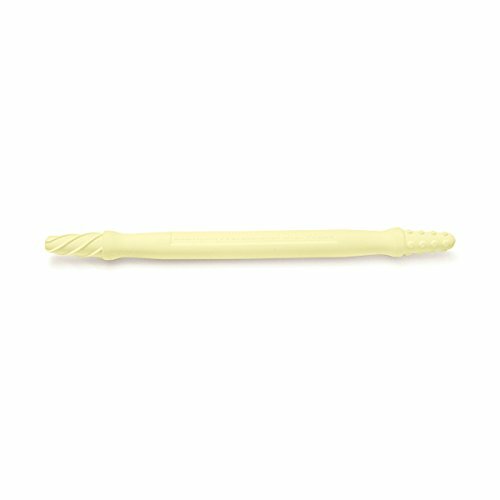 The Beckman Professional Oral Probe is a double-ended tool for oral motor assessment and treatment. It features "candy dots" on one end and "ice cream swirls" on the other for varying sensory input. Not only are the ends textured, but they’re also tapered to fit easily between the gum and tongue to activate tongue movement. 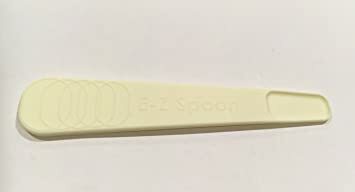 Molded in one piece to reduce breakage, the entire tool is firm yet flexible, which allows you to gently move soft tissues within the mouth. Lightweight, portable, and easy-to-clean. Cleaning: Wash before and after each use with mild soap and water. Dishwasher-safe. For sanitary purposes, each child should have his or her own B-Pop. "Words cannot thank you enough for all that you have done for my son. You fixed his issues in a short period of time. You took care of him and in no time he was pain free. You are living proof of God's calling. May God continue to bless you and all the children that you touch." Providing Pediatric Therapy for Orlando, Winter Park, Lake Mary, Maitland, Sanford, Oviedo, Casselberry, Winter Garden and all of Orange and Seminole Counties.